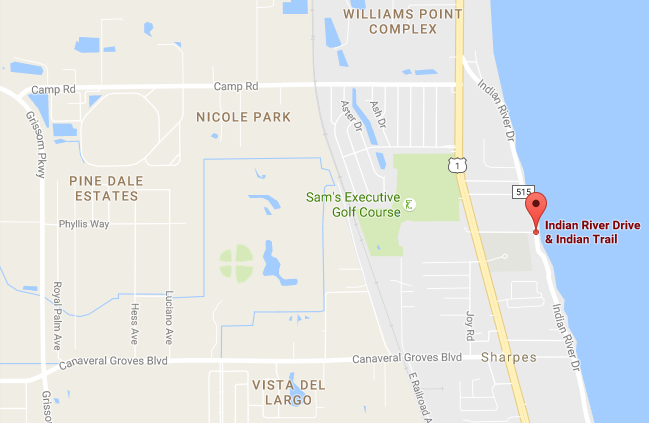 SHARPES, Florida - A man has died from injuries he sustained in a single-vehicle crash that occurred at the intercsection of Indian River Drive and Indian Trail in Brevard County, Florida. The yet-to-be-identified man was drving a 2011 Nissan pickup truck northbound on Indian River Drive around 2 a.m. on Friday. According to the Florida Highway Patrol, the driver failed to negotiate a curve in the roadway and the Nissan traveled onto the shoulder of the road. That's when the left side of the pickup struck a tree, continued off the roadway, and then struck another tree with its right side. The pickup then became engulfed in flames. Firs responders were able to later locate the deceased man inside the vehicle. However, a positive identification has not yet been made.